Although Ray Cha creates things for the Internet for a living, he loves print. He publishes FAQNP, a zine for queer nerds and their admirers. He also loves wandering the streets of a city. 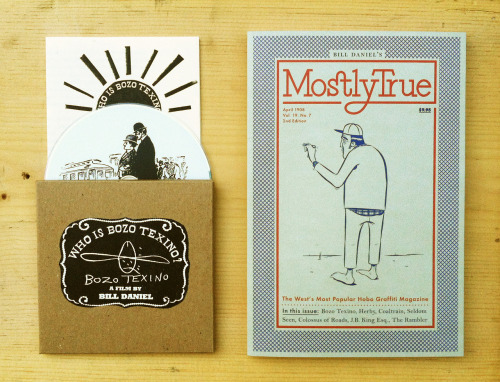 More information on the zine can be found at faqnp.com. 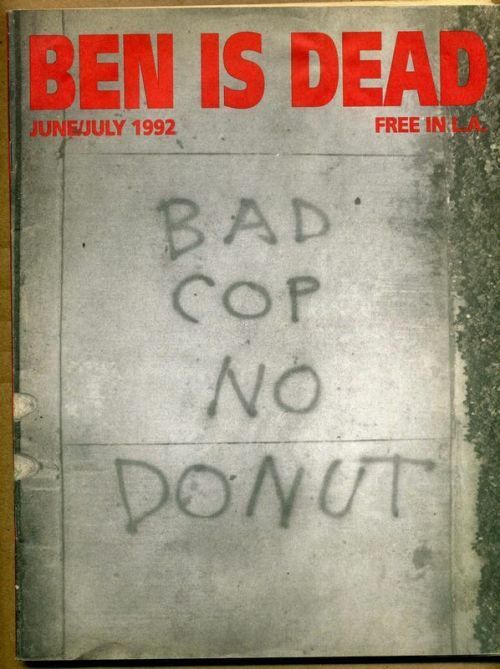 Mikki Halpin was co-editor of the late 80s/early 90s zine Ben is Dead, and editor-in-chief of one of the first online magazines, Stim.com, which was featured in the Whitney Biennial and described as “possibly the next New Yorker” in Time magazine. Her most recent zine projects are Eyresses, a Jane Eyre zine, and an unnamed zine with at-risk LGBTQ teens. She’s currently working undercover at a big glossy consumer publication. Kerri Radley is the author of the zine Deafula. She is a zinester, writer, and literary aficionado. 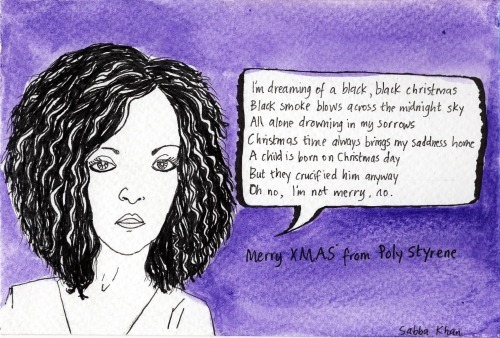 Written by Poly Styrene and her daughter Celeste “Black Christmas’ was a reaction against a horrific shooting spree in 2008 by a man dressed in a Santa suit. "I’d actually revel and joyfully shout if a grunge band appeared which dressed tastefully (and…"
Imagine what the next five years were like for this guy. "It pains me to see a once-respected journal of the “punk” underground becoming merely a…"
Submitting your call for submissions for your primarily or exclusively white-run zine to reach people of color through this platform, without an intro or any context, is inappropriate and the opposite of being a white ally. Calling yourself a white ally doesn’t make you a white ally. Expecting POC Zine Project to signal boost a call for contributions to a zine that historically features white-only contributors is a gross display of white privilege. Not reading our FAQ for white allies before submitting your call, that details the steps for white folks to submit their calls to POC Zine Project, before submitting, is equally gross. It is not our job, or any person of color’s job, to help you find brown people to feature in your historically “by white people/for white people” zine because you lack enough friends of color in your own social circles to approach for collaboration. We are tired of being nice about this. Most of the time we are approached by white folks who understand the concept of being an ally and these have been positive exchanges, frequently resulting in collaborations. But over the past few months - directly connected with the rising visibility of POC Zine Project in zine communities due to the Race Riot! tour - we’ve received more “help me do x” emails and requests for signal boosts from white folks. There is nothing wrong with that. What is most definitely wrong and derails the possibility of a positive exchange is not checking your privilege before approaching us for assistance. What is definitely not appreciated is expecting us to assume that just because you call yourself a “white ally,” that must be true. We owe it to our community to present them with facts, not assumptions. We will not signal boost ANYTHING by any white person simply because they call themselves an ally. We take the role of white allies in the struggle for liberation and equality very seriously. It’s insulting to us and to true white allies when white people use that term but continue to behave in a manner that is silencing and oppressive to people of color. We expect, and have a right to demand, that if you’re a white person who wants us to signal boost your call for submissions to your zine, that you provide us with at least some related links and other documentation that demonstrates your history of being a white ally. This is clearly spelled out in the FAQ. Excepting us to take hours of additional time researching whether are not your are an ally by reading all your zines and fact-checking - because you didn’t bother to share any kind of context - is just another example of white privilege within zine communities. Scanning one of your zines and finding it filled with photos of white folks, and none of people of color, forces us to assume that you are in denial about your privilege. Featuring ONE person of color in your zine series, which otherwise largely features white contributors only, IS TOKENIZING. YOU ARE NOT BEING AN ALLY. If you don’t provide context or background when you approach us for support (which should be common courtesy), our only recourse is to take time to research who you are and what you’re about. And we would rather use that time to empower and support POC who are tired of being silenced by people like you. So we won’t do that anymore. Ever again. Come correct, please. You don’t like your time wasted and neither do we. Check your privilege. We are, and will always be, primarily a resource for people of color. We appreciate our white allies who understand this and support our goals, knowing that our liberation is their liberation and the path to freedom. That I, pussyharvest, wordsandturds, fearsome-fag, shoor, farahjoon, lumpyaceprince, stardustbats, and garconniere (or anyone else who would like to join in) create a series of essays for a zine or blog about why we hate third-wave feminism/fun-feminism and what we envision a new feminism that centers woc, poor people, trans* folk, and non-Westerners would be like. A new feminism for the twenty-first century? Anyone in? When looking for advice the Dear Maisie page of 1960s magazine Flamingo is always a good place to start. Edited by Edward Scobie, contributors included George Lamming, Jan Carew, founder of the BCA Len Garrison and Sydney Poitier. 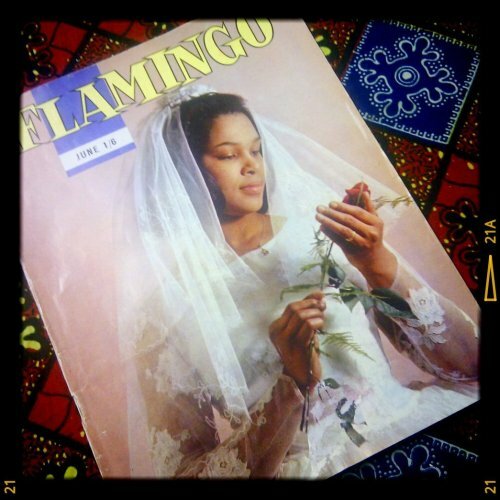 Flamingo closed in 1963. BCA’s collection includes over 200 periodical titles published by Black communities in Britain, over half are unique to the BCA and can not be found in any other collection in the UK.